Hop on board the Tatty Devine bus! Have you heard the news? We’ve teamed up with London Transport Museum to celebrate the Year of the Bus on Sunday 22nd June. 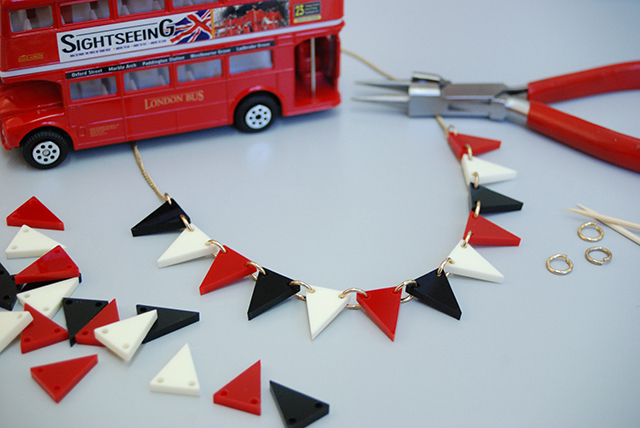 We're taking over our very own Tatty Devine bus on Regent Street, as part of the cavalcade celebrations. Explore nearly 50 buses spanning the last century, from Horse Buses through to the very latest New Routemaster. Try your hand at making a bus stop out of Lego and catch a children’s theatre show. There's even the chance to have a personalised message recorded by the voice of London buses, Emma Hignett! We'll definitely be first in line... Hop on board our very own bus to discover the new London Transport Museum collection in our pop up shop, or drop in for an extra special jewellery making workshop on board! Team Tatty will teach you the techniques and skills needed to make a colourful Bunting Necklace. Choose from a range of bright summer colours or take inspiration from the London Routemaster bus with an exclusive red, cream and black colour way. That's not all! Say hello to Tatty Devine founders Rosie and Harriet, shop our new collaboration and get your hands on special treats, too. 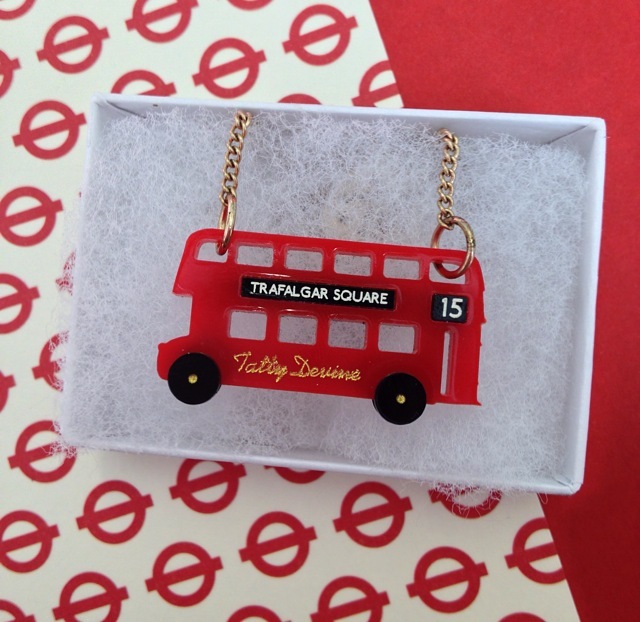 We're even giving you the chance to win our new London Bus Necklace: Simply pop along on the day, snap a selfie with our classic London bus and tweet or Instagram it to @tattydevine with the hashtag #TDBus. We'll announce the winner on Monday 23rd June. Fingers crossed! It's all happening on Sunday 22nd June from 12 - 5pm on Regent Street. Our bus will be located close to the junction of New Burlington Place, not far from Hamleys and Esprit. Book your place at one of our workshops now! Find out all about the exciting celebrations and keep up with the action using the hashtag #YearoftheBus on Twitter and Instagram.